Treat your friends and family to Sara Lee® Desserts and show them a delicious and easy way to serve something special at all their celebrations this holiday season. 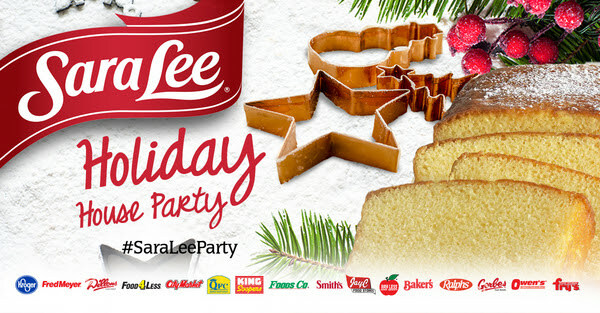 Everyone will have a great time decorating holiday cookies with Sara Lee® All Butter Pound Cake and experiencing the fresh baked taste that feels like home. Find Sara Lee® Desserts in the freezer section. This event is only open to residents of AK, AL, AR, AZ, CA, CO, GA, ID, IL, IN, KS, KY, LA, MI, MO, MS, MT, NC, NE, NM, NV, OH, OR, SC, TN, TX, UT, VA, WA, WV, WY.